Cutting-edge, computer-enhanced technology provides new advances in surgical care. We use the da Vinci® Surgical System, a time-tested, leading technology. This robotic surgical system, coupled with our surgical experience and expertise, provides better patient outcomes. We are among the first hospitals in the region to offer single site robotic surgery and are the area’s only robotic-surgery provider to use Firefly™ fluorescence imaging for greater visualization of tissue. 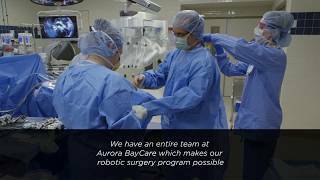 Aurora BayCare is equipped with the latest da Vinci surgical robots, making the hospital an industry leader when it comes to utilizing this cutting-edge technology for minimally invasive surgeries. Aurora BayCare is home to both the da Vinci Si and the da Vinci Xi surgical systems. Both robots are equipped with wristed instruments, enhanced 3D-HD vision, and fluorescent imaging. The latest system, the da Vinci Xi, offers expanded capabilities for instrument attachment and opens the door to new minimally invasive surgeries in gynecology, urology, thoracic, cardiac, and general surgery. The da Vinci Xi system can be used across a wide spectrum of surgical procedures and has been optimized for complex, multi-quadrant surgeries. Because we’re equipped with multiple da Vinci surgical systems, we have greater capacity for robotic procedures, allowing us to schedule patients in a shorter timeframe and perform the latest, innovative operations. We are one of the state’s busiest robotic-assisted surgery programs. Our surgeons conduct a large volume of procedures and have reached superior levels of surgical skill with the da Vinci® systems. Dr. Peter Johnson has been instrumental in growing the robotics surgery program at Aurora BayCare. Dr. Peter Johnson has performed over 2,000 robotic-assisted surgeries. Aurora BayCare Medical Center is among the first hospitals in the region to offer single site robotic surgery. The da Vinci® Single-Site™ system allows our surgeons to use just one tiny incision, through the navel. The result is a virtually scarless experience. The Single-Site surgical system is the most advanced technology available for robotic surgery. Procedures are performed through a single incision in the belly button, using state-of-the-art precision instruments. 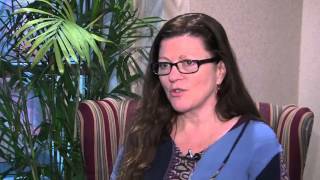 Learn more about single-site robotic surgery. 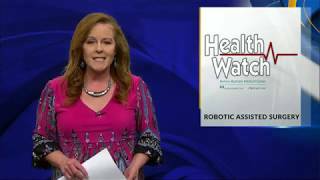 View a more complete list of the robotic surgery procedures available at Aurora BayCare. At Aurora BayCare, we are committed to providing Green Bay, as well as the greater Northeast Wisconsin and Upper Michigan regions, with access to the best in the industry for robotic surgery options.